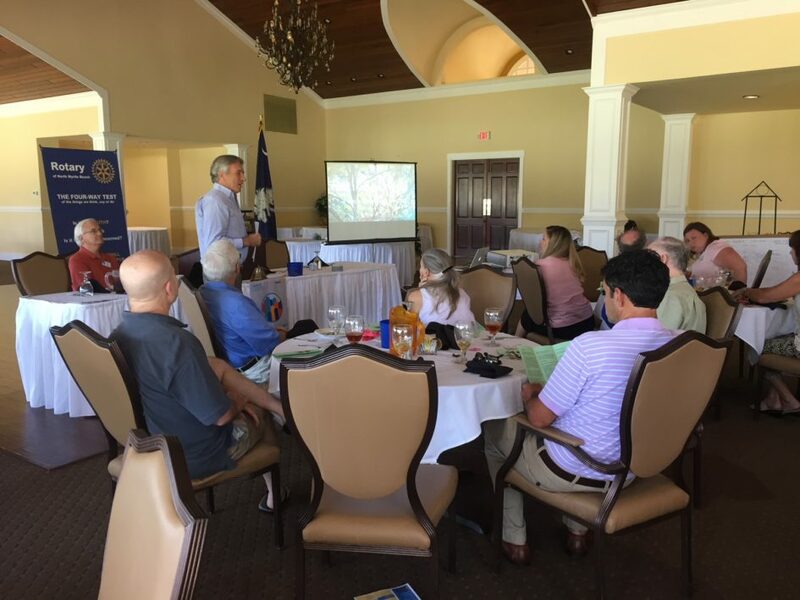 Our September 19th Meeting at North Myrtle Beach Rotary was a fantastic local history lesson, as Damien Trouleyre came to speak to the club about the Ingram Dunes. Located off of 9th-11th Avenues South and Hillside, The Ingram Dunes are a collection of natural dunes that have been left unadulterated for hundreds of years, created by the tides when they were a quarter of a mile further inland than they are today! These dunes have been a sanctuary for locals and visitors for decades, as many have spent time exploring the beautifully wooded trails with up to 50 ft sand dunes at the center of the property. A privately owned tract, Ingram Dunes is at risk of being rezoned to be eligible for dense housing, and being developed in the near future. Residents that reside near the unofficial local landmark have taken action to persuade the City of North Myrtle Beach, DNR, and other nature preservation institutions to purchase the land and preserve its place in our community. Locals have organized rallies at Ingram Dunes on Saturdays, and invite anyone who is interested to join in the fight to keeping North Myrtle Beach’s oldest natural sanctuary untouched for generations to come! We thank Damien for his presentation, and hope to enjoy Ingram Dunes for the foreseeable future!